On Linux: Ubuntu 14.04.5 LTS, Release: 14.04, trusty. Apache Hadoop is an open source software framework that enables large data sets to be broken up into blocks, distributed to multiple servers for storage and processing. Hadoop’s strength comes from a server network – known as a Hadoop cluster – that can process data much more quickly than a single machine. The non-profit Apache Software Foundation supports the free open source Hadoop project, but commercial versions have become very common. The Hadoop Distributed File System (HDFS) is the place in a Hadoop cluster that you store data. Built for data-intensive applications, the HDFS is designed to run on clusters of inexpensive commodity servers. HDFS is optimized for high performance, read intensive operations and resilient to failures in the cluster. It does not prevent failures but is unlikely to lose data, since by default HDFS makes multiple copies of each of its data blocks. Hadoop does batch processing i.e processing of blocks of data already stored over a period of time. Initially Hadoop's MapReduce technique was the best framework for processing data in batches. 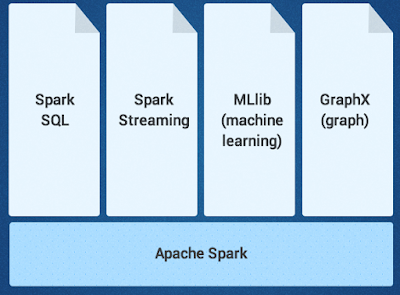 Spark is an open-source cluster computing framework for real-time processing. 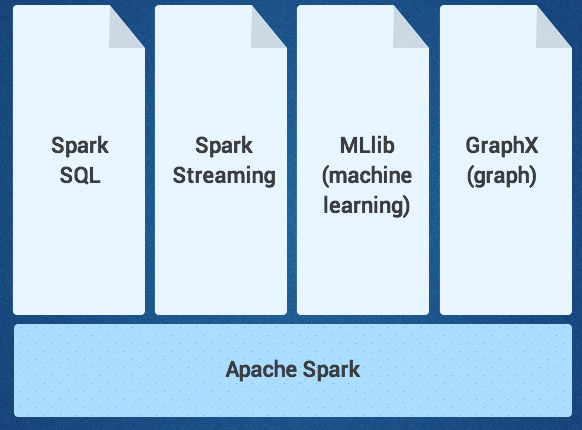 Spark's additional functionality is that it can process data in real time and since it was built on top of Hadoop MapReduce and it extends the MapReduce model to efficiently use more types of computations it is also about 100 times faster than Hadoop MapReduce in batch processing large data sets. Spark can create distributed datasets from any file stored in the Hadoop distributed filesystem (HDFS) or other storage systems supported by the Hadoop APIs (including your local filesystem, Amazon S3, Cassandra, Hive, HBase, etc.). Spark does not require Hadoop; it simply has support for storage systems implementing the Hadoop APIs. 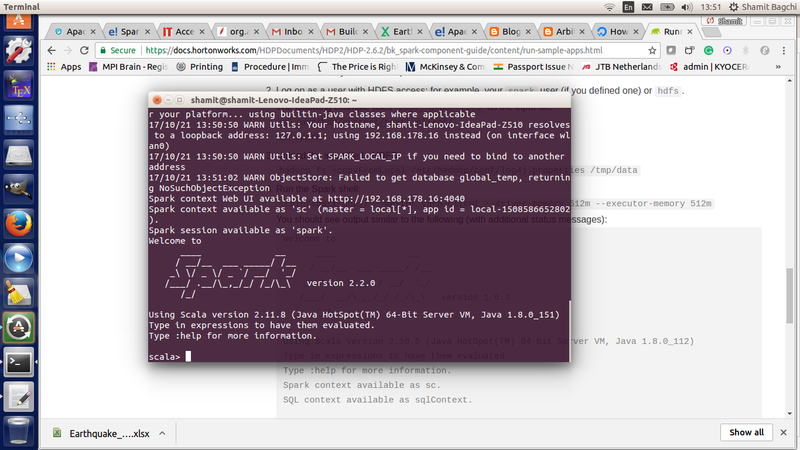 Spark supports text files, SequenceFiles etc and any other Hadoop InputFormat. Python Code to create RDD, Map and Collect etc. Setting Up Your Environment - In order to use HDFS and Spark, you first need to configure your environment so that you have access to the required tools. The easiest way to do this is to modify the .bashrc configuration file in your home directory.